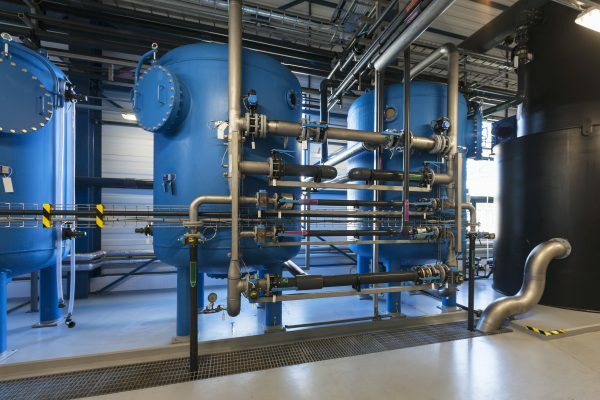 Thanks to their unique ability to selectively target specific contaminants for removal, ion exchange (IX) systems can be an extremely efficient solution for separation and purification of process and waste streams. While they are most commonly used for softening applications, IX systems are also widely used for dealkalization, purification, metals removal, and other specialized uses. Given their effectiveness for so wide a variety of applications, it can be a challenge to identify an ideal IX solution for your needs. Whether your goals include cutting operational costs, reducing product waste, or otherwise boosting efficiency, the following article identifies key process factors to consider when building an IX system to meet your production needs. IX is a selective separation strategy, meaning that it can be used to target specific ionic contaminants in solution, while leaving behind other materials. The best IX systems are designed around the composition of your process stream, the desired level of purity, and the costs associated with operating and maintaining your treatment train. While seemingly straightforward, these variables are complex and interrelated, and they have a huge impact on what IX technologies are best for your needs. What types of IX resin should you use? An IX unit is mechanically very simple, essentially consisting of a column that contains a specialized material known as an IX resin. All the work of an IX system is performed by the resin, which acts as a substrate to facilitate the exchange of similarly charged ions. While IX resins can carry a significant up-front investment, properly maintained resins can offer a long service life of four to 10 years. The best IX system designs take process conditions and the contents of the feed stream into account so as to minimize operational costs and downtime associated with regeneration cycles and to maximize usable life of the resin. IX resins are made from polymers in the form of microbeads, and, less commonly, sheet-like membranes used in electrodeionization process. The most common IX resins are fabricated from either gel or a macroporous polymer, each of which is best suited for certain process conditions. Generally, gel resins are best for standard water treatment operations, as they offer a greater capacity and regeneration efficiency. On the other hand, macroporous resins are best for aggressive conditions, with their greater chemical and mechanical resistance making them able to stand up to high temperatures, significant osmotic shock, and/or exposure to oxidizing agents. IX resins target contaminants for removal based on their electrical charges. With few exceptions, cationic resins swap out positive ions, while anionic resins swap out negative ions. Key IX resin types and common uses are outlined below, though there are many other resin and application options as well. Strong Acid Cation (SAC) resins are often the best choice for water softening and demineralization applications. SAC resins are a relatively safe and cost-effective method for removal of scale-forming hardness, such as calcium and magnesium, as they may be regenerated with a concentrated salt solution, such as a sodium chloride brine. When used in the hydrogen cycle with sulfuric or hydrochloric acid (HCl) as a regenerant, SAC resins are also highly effective for demineralization. Weak Acid Cation (WAC) resins are a cost-effective choice for dealkalization applications where the feed water has a high proportion of hardness to alkalinity. The WAC resin accomplishes this by removing divalent cations (e.g. calcium), and replacing them with hydrogen / sodium depending on process conditions. Depending upon process needs, the IX process may be followed with degasification and/or pH adjustment. WAC resins are also good choices for softening of streams with high salinity. Chelating resins are effective for removal and/or recovery of metals from solutions, including solutions with high dissolved solids concentrations. Applications using chelating resin include sodium (Na), potassium (K) and lithium (Li) brine purification for feeding electrochemical cells, hydrometallurgy, metals concentration, and recovery for metals such as cadmium (Cd), cobalt (Co), nickel (Ni), and copper (Cu). Depending upon the needs of a specific application and characteristics of a treatment train, IX systems may include one or more resins, and/or multiple IX columns. Examples of common IX system configurations are given below, though there are many other variations to suit specific applications. Mixed bed units contain both cation and anion resins in a single IX column, and are used to produce ultra-high purity water with a near-neutral pH and low rinse water requirements. Twin bed systems include a paired set of IX columns, one of which contains an SAC resin, and the other contains an SBA resin. Twin bed IX systems are used for softening applications that do not require stringent purity standards. Split stream dealkalization involves operation of two SAC beds operating in parallel, where feed water is divided between the two beds, with one operating in the sodium cycle as a softener that yields full alkalinity, and the other operating in the hydrogen form as a demineralizer that removes all alkalinity. The streams are then blended to achieve a target alkalinity. Wondering where to start? The best way to identify an optimal treatment plan is to conduct a treatability study. 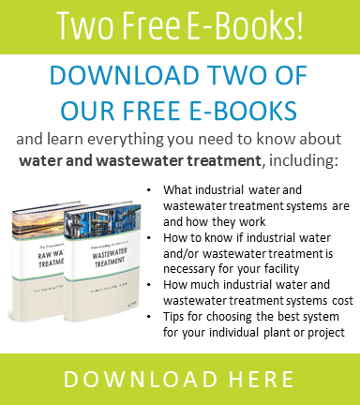 Treatability studies often use a combination of lab analysis and pilot testing to help you to better understand the makeup of your process and waste streams, and to evaluate how well certain treatment strategies perform at your plant. Treatability data is crucial in narrowing the wide field of available IX resins and system design options, helping to confine your search to those IX technologies that will best meet your needs.